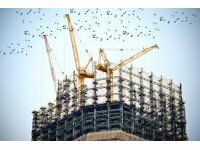 On 1st June, 2017, the Federal Ministry for the Environment, Nature Conservation, Building and Nuclear Safety published meeting documents from the Expert Dialogue on “Opportunities and Risks of the Application of Nanotechnologies in the Construction Sector.” …….. Copyright © 2019 National Nanotechnology Center (NANOTEC). All rights reserved.